As of the latest Canary build (v70), Chrome OS now has network file shares enabled by default. SMB sharing was previously possible via a flag that was added back in March, although it was quite unstable at that time. It should hopefully perform better now, allowing you to add a file share service such as Samba. Chrome evangelist François Beaufort announced the news on Google+ and linked to the relevant Chromium Gerrit, adding that it makes viewing a shared folder pretty easy when you've gone through the setup process. 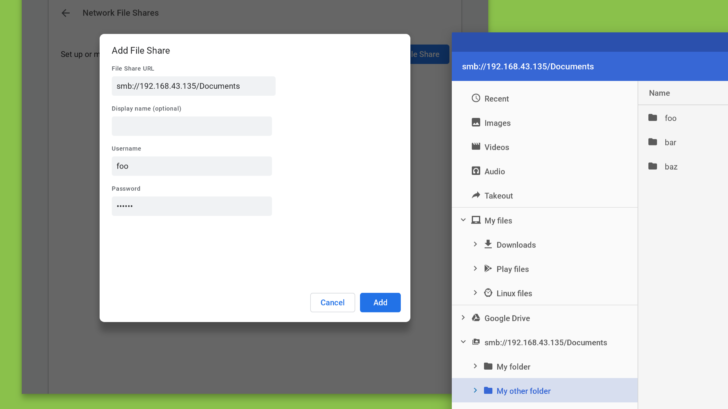 Network file shares now enabled by default in Chrome OS Canary channel was written by the awesome team at Android Police.